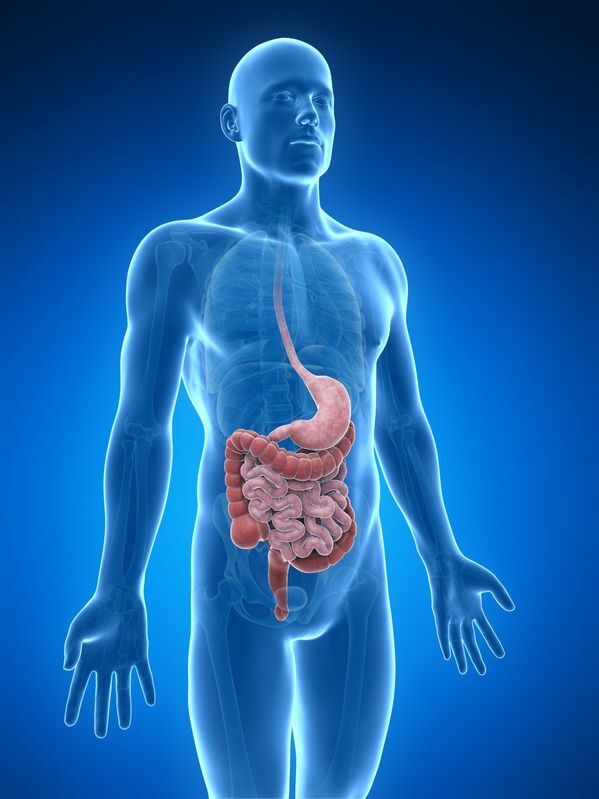 Vitalia Health Care > Blog > Digestive System > Stomach Acid – More Important Than You Might Think! Hypochlorhydria, or low stomach acid production is much more common than over-production of acid. It makes a lot of sense once you understand the biology of the body. 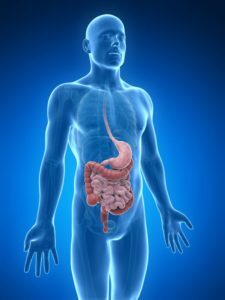 In a healthy stomach the parietal cells, which are a part of the stomach lining, produce hydrochloric acid (HCl) when digestion is stimulated by the thought of or presence of food. The pH of the stomach must reach very low levels (= to high acidity) in order for protein to start being broken down by the enzyme pepsin. In turn, the high-acid environment is the trigger to stimulate other digestive enzymes to become active and break down fats and sugars in the small intestine and to allow absorption of nutrients. This system works in sequence and each step relies on the previous step. HCl production is lowered by several factors. High stress causes an increase of cortisol production which decreases acid production. Bacterial or other infection or imbalance in the microbiome and food sensitivities can contribute too. In some instances, the immune system produces antibodies that attack the parietal cells, this can be seen at a higher rate in those with hypothyroid disease. Antibodies to both the thyroid and parietal cells can be tested by blood to confirm. The other secretion from parietal cells is intrinsic factor (IF). This protein has the important job of binding to Vitamin B12 and aiding absorption into the lining of the small intestines and blood stream. Thus dysfunction of parietal cells leads to low B12 and other nutrients, indigestion, gas and bloating and an increased risk of gastrointestinal infection or imbalance. Even with supplementation of vitamins and minerals, if the stomach isn’t producing enough acid, levels will not rise significantly. How do you know if you have low stomach acid? A simple at-home test can provide some indication. On an empty stomach, drink 1/4 teaspoon of baking soda in 1 cup of water. Pull out your timer and note how long it takes to have a good belch. Do this on 2 to 3 occasions when your stomach is empty. The normal time to burp is between 30 seconds to 2 minutes if stomach acid levels are healthy. In cases of low acid production, it will take longer to burp or the burp might be small. The reason why this indicates low acid is that baking soda is a base and when an acid (HCl of the stomach) is mixed with a base, gas is formed and you should burp. Now what? First thing to do is add back in acid. Apple cider vinegar is the most natural way to acidify the stomach when eating a meal. There are stronger options to both provide acid and provoke the parietal cells to release acid such as bitter herbs and capsules of HCl. However it is also important to determine the underlying causes and that’s where we can help!